The Event Room is a 5,000 sq ft space that can be accessed directly from the Lounge through our oversized sound isolated glass doors. 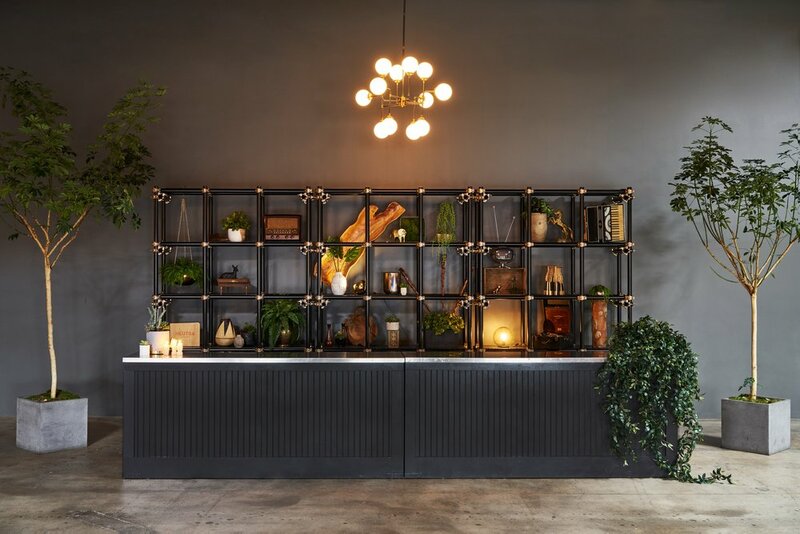 With 18’ft exposed ceilings, skylights, stunning chandeliers and sculptural wood accents, the Event Room is a perfect balance between industrial and modern. Our ceiling mounted HD projector, included lounge furniture pieces, and custom bar + shelving unit makes it very easy to transform the flexible space to suit your needs. The Event Room also includes two multi-stall restrooms to easily accommodate a larger guest count. 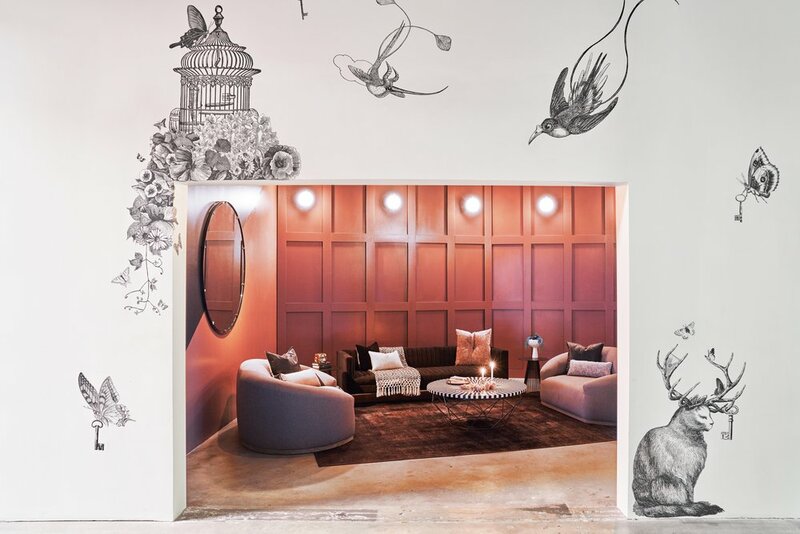 The entrance to Playa Studios is a handsome 3,000 sq ft furnished lounge featuring a striking 18’ ft tall gallery wall. 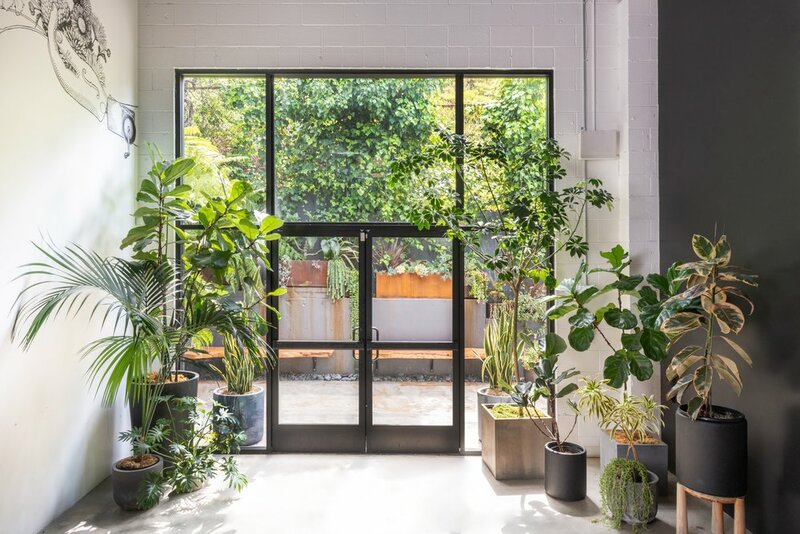 The Lounge opens directly into the Event Room through our oversized sound isolated sliding glass doors, allowing you the ability to create two completely different atmospheres within the adjacent spaces. The Lounge also includes a kitchenette perfect for bar service and two individual restrooms.